The Care and Keeping of Marine Hermit Crabs. How to set up an aquarium for marine hermit crabs. Identifying and solving common hermit-related compatibility problems in the aquarium. An illustrated list of commonly seen hermit crab species in the aquarium trade. 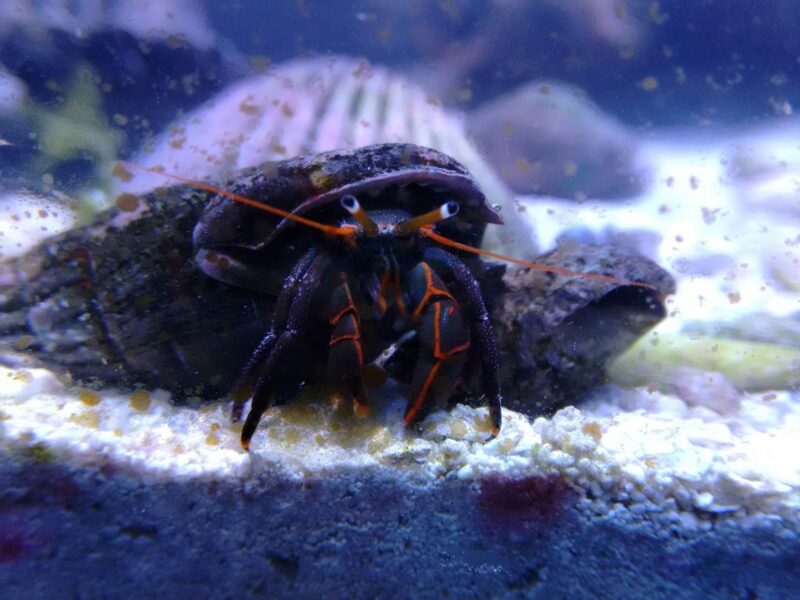 Information on marine hermit crab ailments and treatments. And other sections, more added with each version. The document is a working draft and may contain errors. This document is for personal use only. No part of the document may be reproduced or distributed in any form or by any means, or stored in a data base or retrieval system (this includes websites with protected access), without the prior written permission from me. This work is NOT currently suitable reference material if you are planning on using it for anything outside of a fairly basic educational project that will remain unpublished. If you wish to cite this work for other purposes, please contact me first, since the document’s contents will be changing over time and large sections may be rewritten. Many sections are still works in progress, and even those not marked specifically as such may be modified over time. If you need to contact me about this document, my contact details can be found HERE.